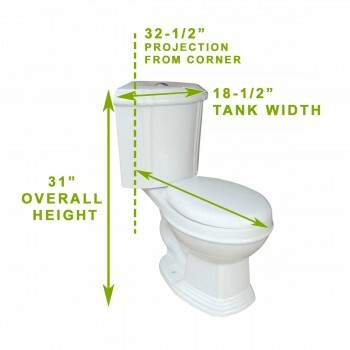 Obtain your Toilet that saves money and water. Want to have the best Grade A vitreous china flush toilet? 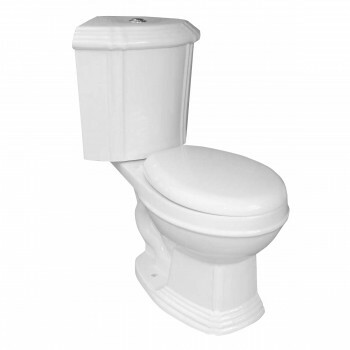 Then you can consider Corner Toilet Sheffield Round Dual Flush White, the best product ever made. Manufactured using Dual Flush technology, this helps you save up to 25,000 gallons of water every year as estimated by EPA. 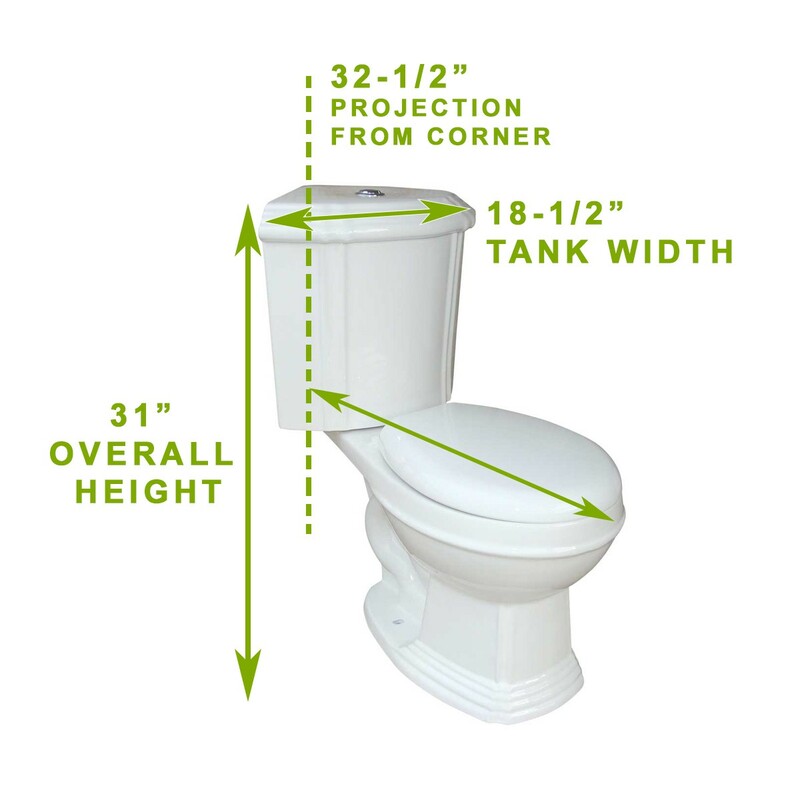 This dual flush not only saves water, but also saves space and money. Embedded with G-Force high efficiency flush system technology, it lets you flush only one time. With this, the need for double flush can be eliminated. The impeccable features include ergonomic height and round shaped bowl, both of which helps to make safe use of it and put less strain on the body. It has a No-Slam safe close plastic toilet seat with an easy top flush plastic faux chrome button. If you are interested to these Corner Toilet Dual Flush and want it to be in your lavatory, then check our on-line Renovator's Supply catalogue for more details and you will surely love to own it.